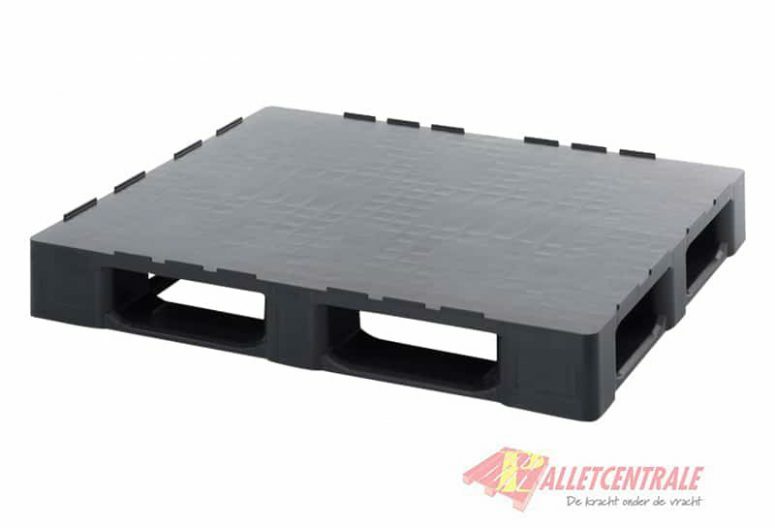 This new plastic perimeter base closed upper deck block pallet is 100cm x 120cm in size, it is a medium weight version. 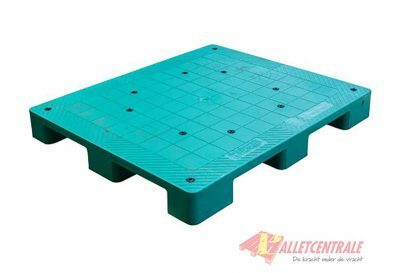 This new plastic pallet with safety edge is 100cm x 120cm in size, it is a peripheral medium weight version with a closed upper deck. 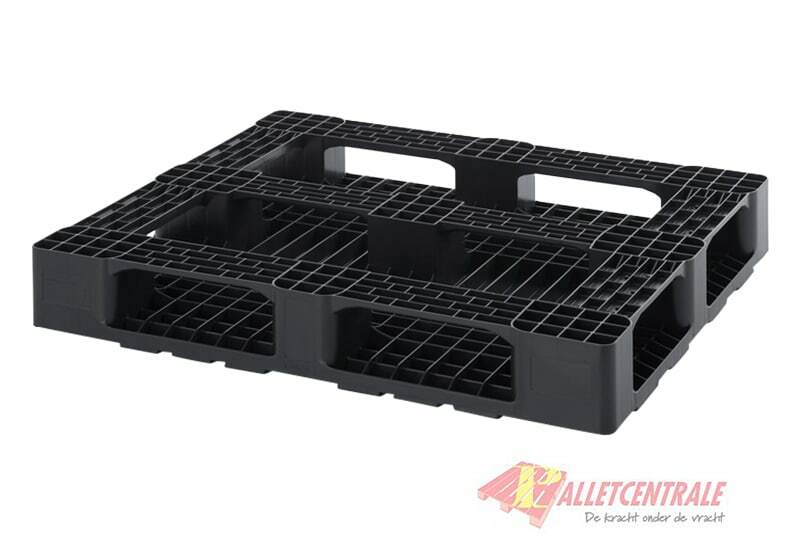 On request this pallet is also available with extra reinforcement (iron pipes) for extra heavy loads.